High conversion efficiency Solar panel with smart IC protect your device from over charging and overloading. 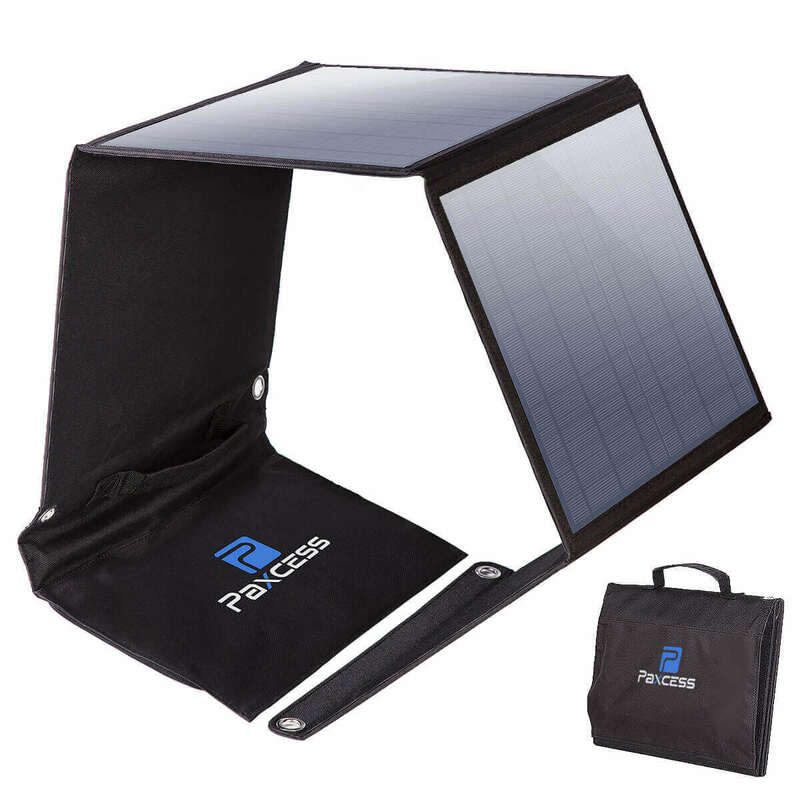 High conversion efficiency Paxcess Solar panel with smart IC protect your device from over charging and overloading. 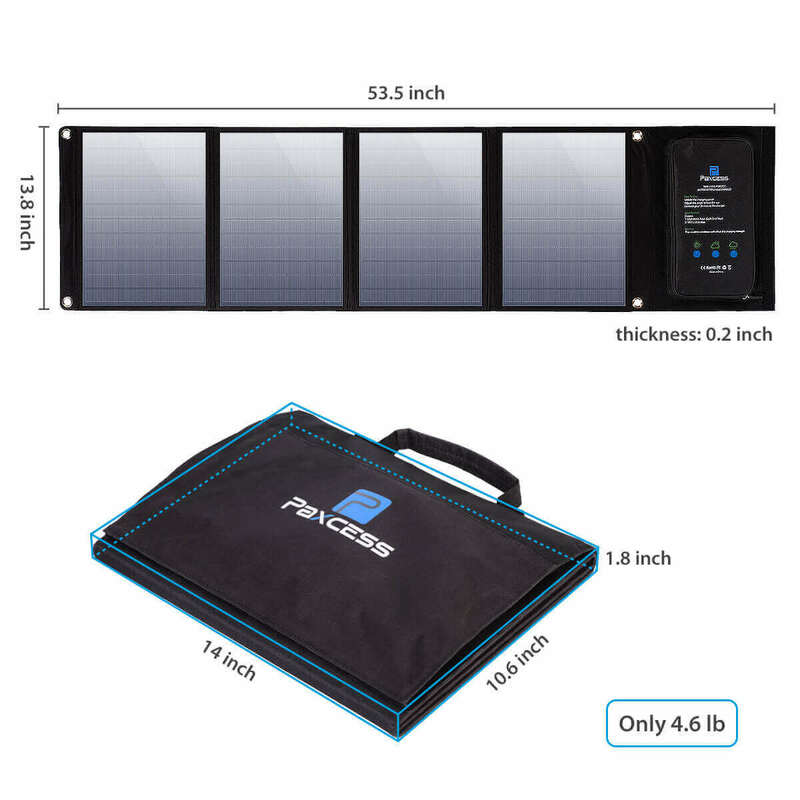 What You Get:1 * Paxcess 50W Foldable Solar Charger,1 * 5.5 * 2.5mm DC Adapter,1 * 3.5 * 1.35mm DC Adapter,1 * 8mm DC Adapter for Goal Zero 100/150/400,1 * User Manual. 1. 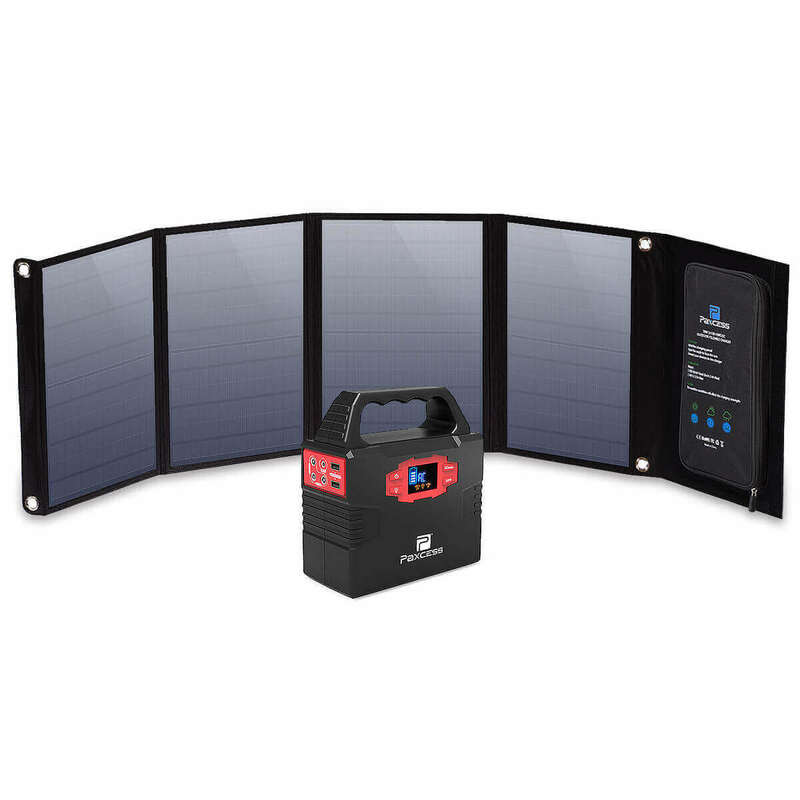 MADE FOR SOLAR GENERATORS - Compatible with most solar generator on the market. 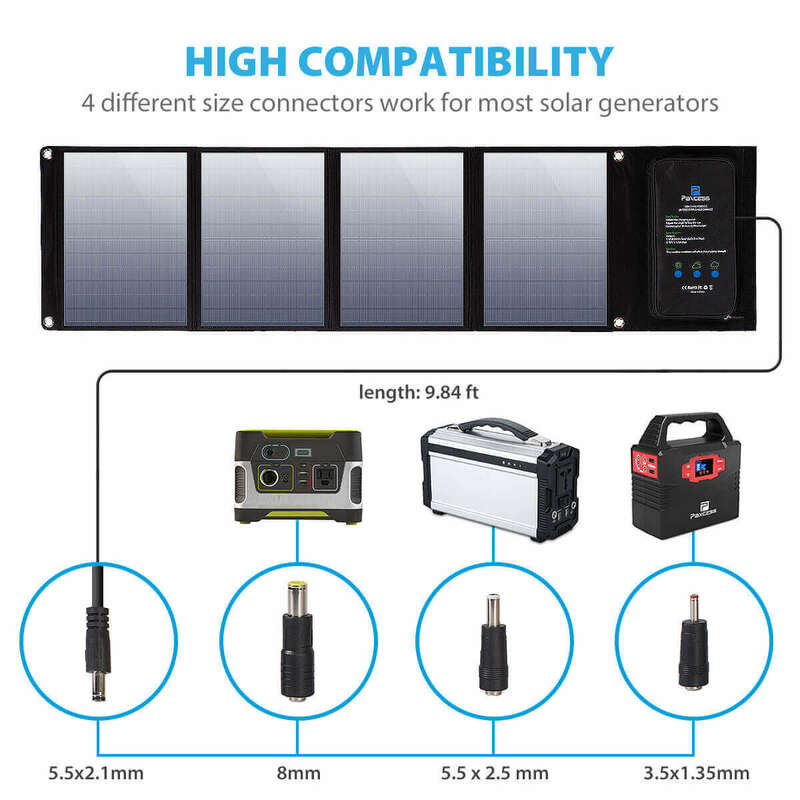 With our included different size of connectors(8mm DC Adapter for Goal Zero, 5.5 * 2.5mm DC Adapter for Suaoki portable Generator and 3.5 * 1.35mm DC Adapter for Paxcess portable Power Generator), and 5V USB devices, including smartphones and tablets(iPhone, iPad, Samsung Galaxy), GPS, digital cameras, etc. 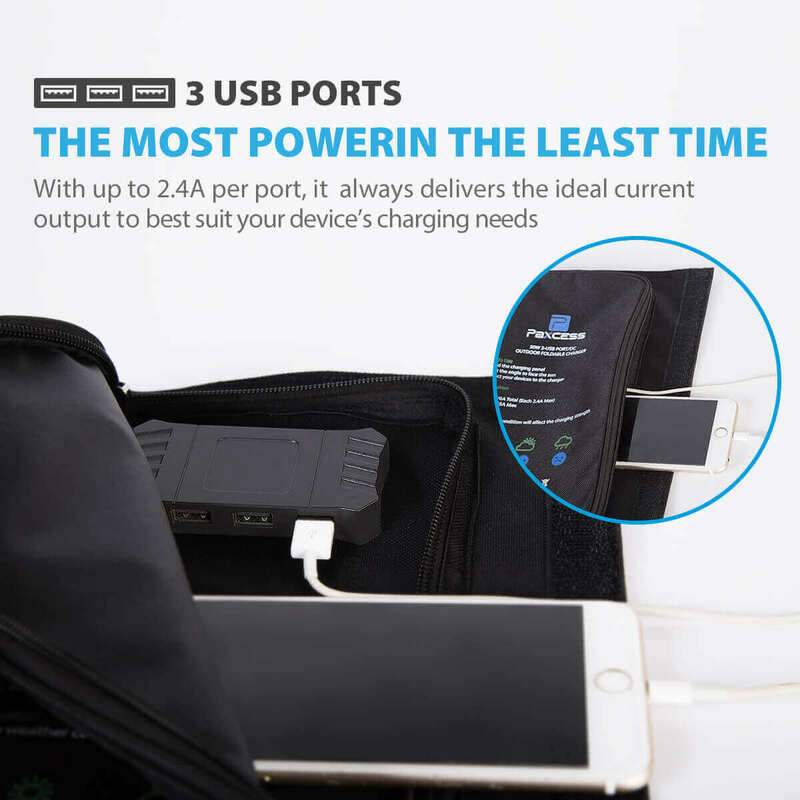 2.3-USB SMART CHARGING TECHNOLOGY - The build-in smart IC chip intelligently identifies your device, and maximizes its charging speed while protects your devices from over charging and overloading. 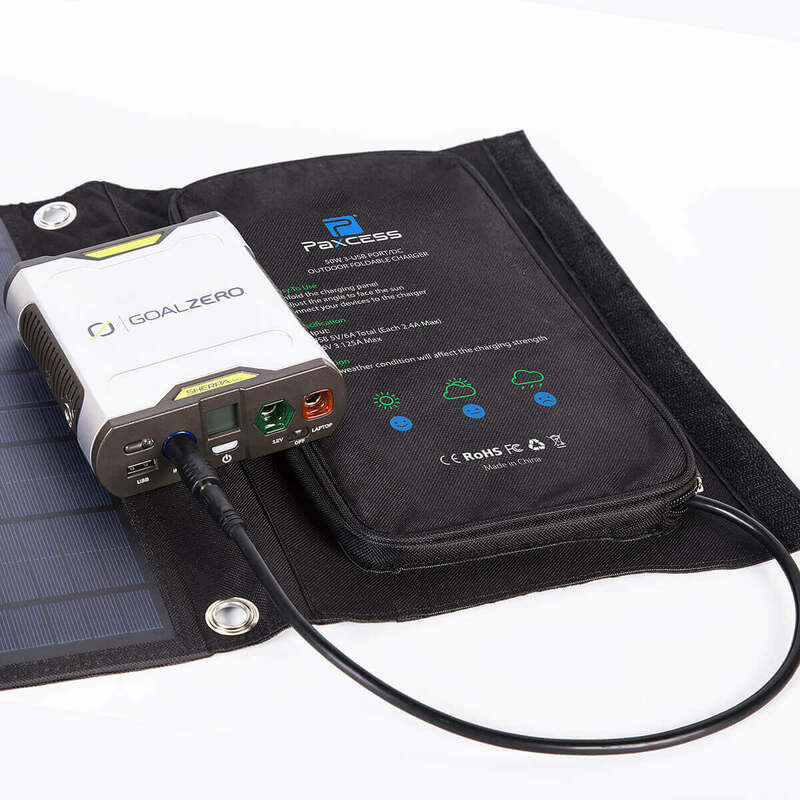 The charging current of USB ports (up to 2.4A max 5V DC per port, 6A max overall) is monitored and automatically adjusted according to the sunlight level. 3. HIGH CONVERSION EFFICIENCY - Constructed of high-efficiency solar arrays,convert up to 21.5-23.5% of solar power into free energy. 4.WATER-RESISTANT & DURABLE - Made from durable Oxford cloth. 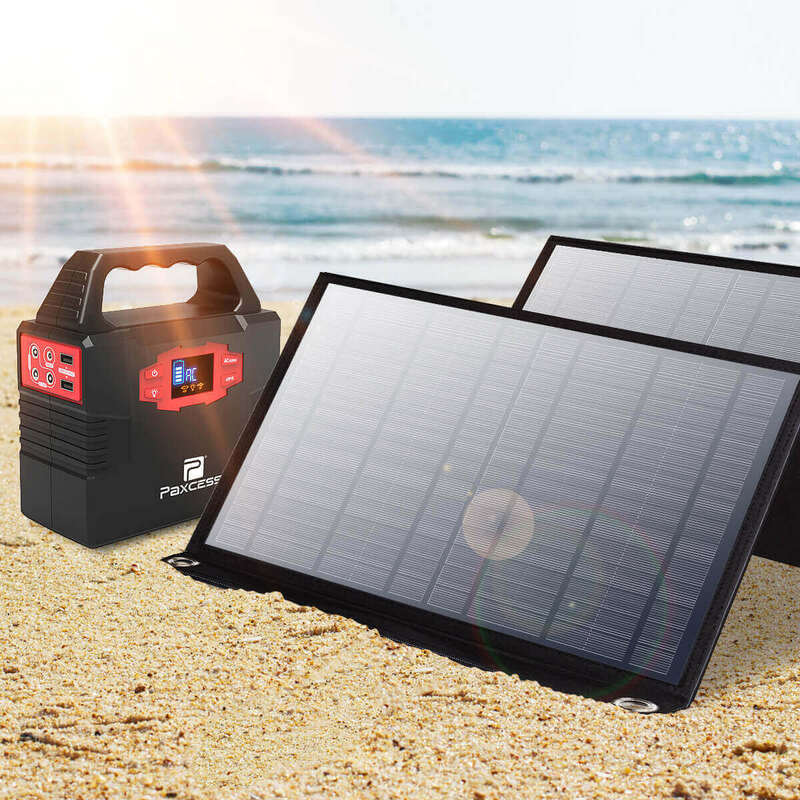 The solar panel is water resistant to endure all weather conditions, ideal for outdoor activities such as camping, climbing, hiking, picnic. Please NOTE: The junction box is not waterproof and please keep it dry. 5. FORDABLE & PORTABLE - Foldable design, convenient to carry it wherever you go.